Every product comes with printed instructions, which should be followed when assembling the insert. Here are some basic tips to help with this process. The most important thing is to take your time and have fun! 1. Tools required: to assemble the inserts you will needs some basic tools and supplies. 2. 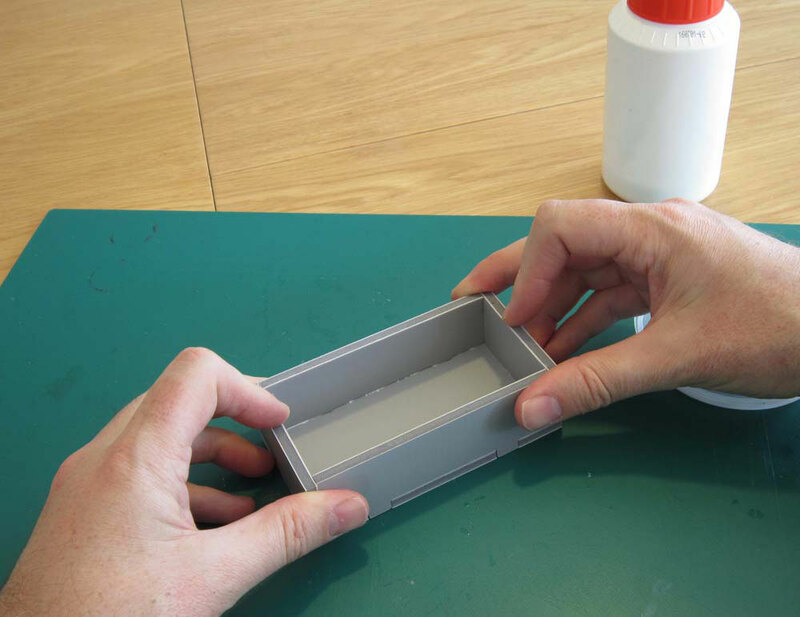 Dry-fit trays: Once you have selected from the instructions which tray you want to assemble, pop out the pieces and dry-fit together the tray. Do this so you can check where each piece goes and see where the glue is going to be needed. 3. 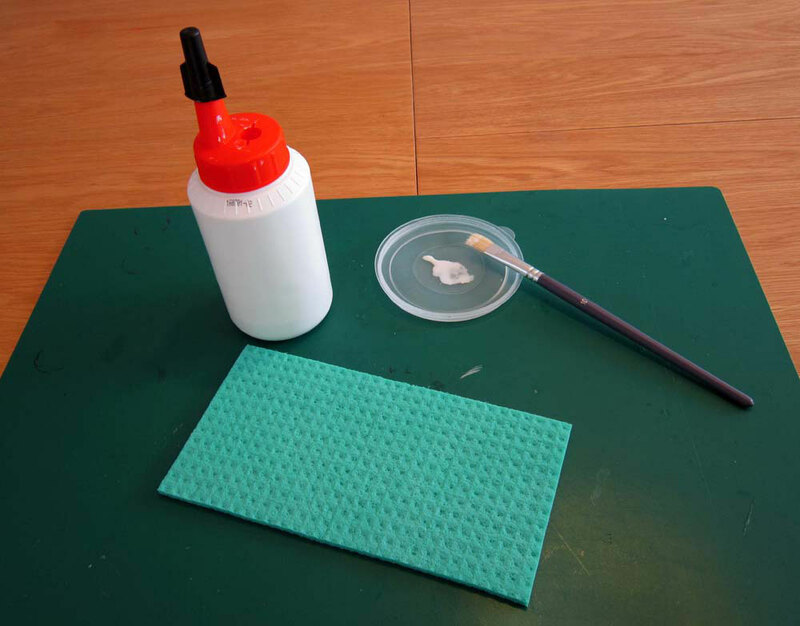 Apply glue: use the flat brush to apply a thin layer of glue to the surfaces that will be in contact with the other piece. 4. Firmly fix in place: Once all pieces are glued, hold them together firmly for a few seconds for them to bond. Ensure the lines are square and that there is a good contact with the base. The pieces need to pressed together for the glue to work well. Note: no tape, clamps or pins are necessary. 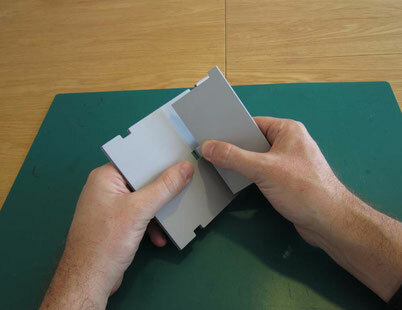 Simply hold the pieces together for a few seconds and the glue will hold. 5. 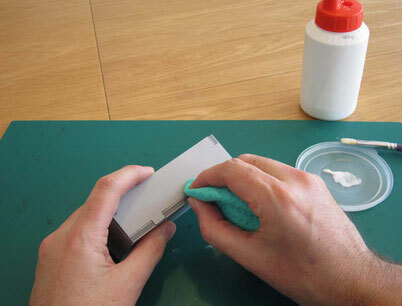 Wipe off excess glue: use the damp cloth to clean off any excess glue squeezed out during assembly. The card is laminated and the cloth will not damage the tray. 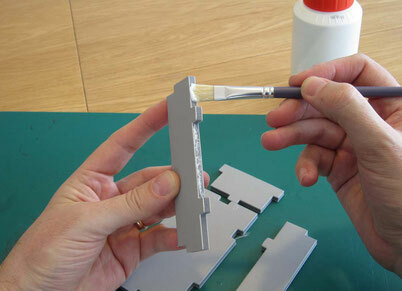 When placing a piece with a peg into a hole (as pictured) squeeze the foam. Don't use too much glue. The material bonds very well with PVA glue, and a thin layer is enough. 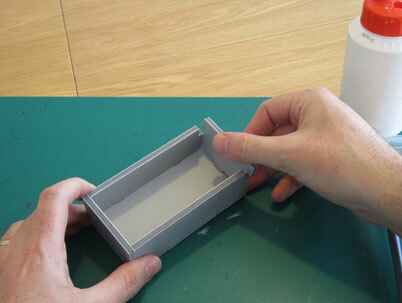 Allow the trays to fully dry before using or placing in game box. There's nothing worse than gluing your game components to your tray (believe me...).